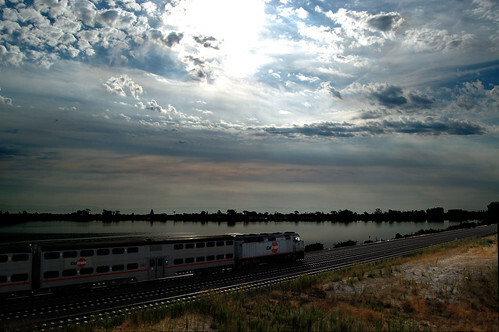 caltrain passing the lagoon, originally uploaded by hep. I took this jpg this morning on the morning bike ride yuriy and i take to drop him off at caltrain. this is not his train however, this is a Northbound train. Incredible shot. Love the lighting.